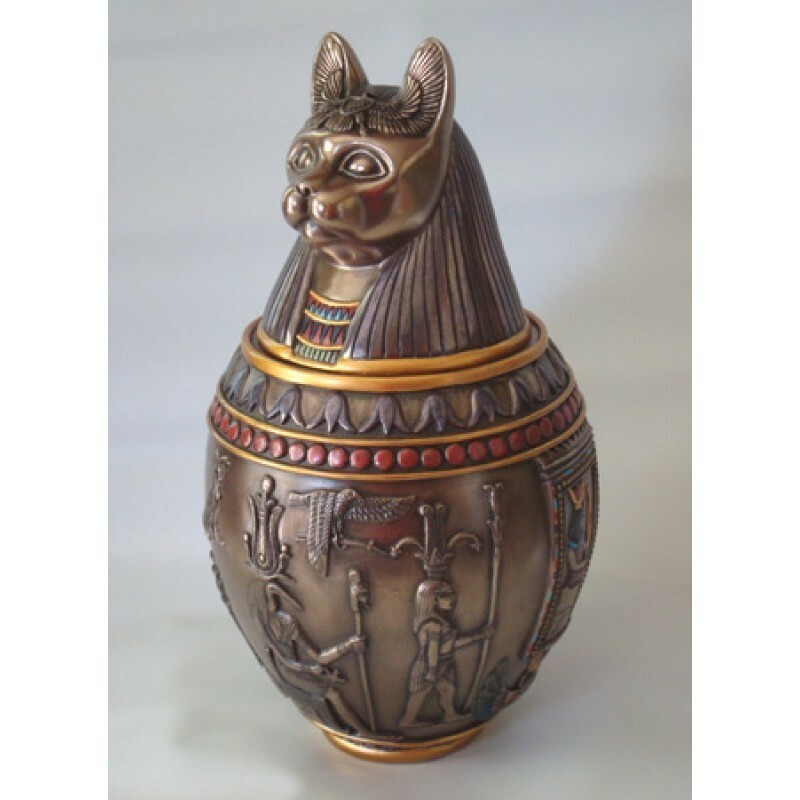 The Bastet Canopic Urn dimensions: 10" X 5.25"
Storage space is approximately 65-70 square inches. Can be used for holding your beloved pet's ashes. The cat 'head' of the jar is removable as can be seen in the pictures.